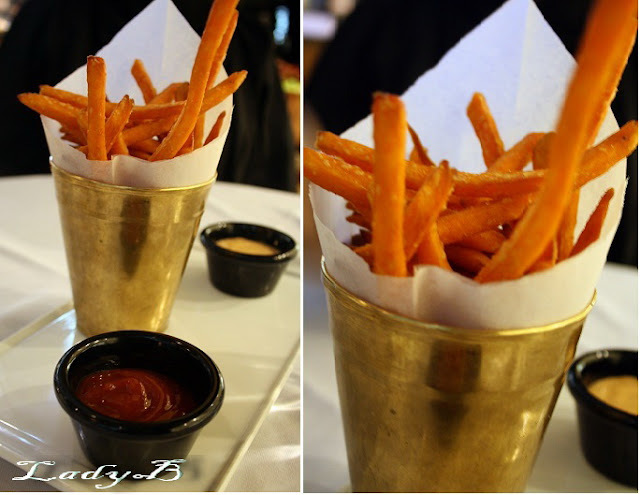 Wether it's lunch or dinner, Napket Snob Food is one of my first choices whenever I think about having a meal in The Avenues, I almost shed tears of joy upon hearing that my wish came true and I can have sweet potatoes fries as a side to my burger/meal .. It's a perfect sid dish e even if you're just planning to have a salad and the sweet potatoes on the side, pure yumness ! It was delicious and I was planning on a second helping but decided to leave sum room for desserts instead ! first it's a piece of art! let's see after few measured bites, I gave it two thumbs up ! it's so aromatic, full of flavour, and quite different ! 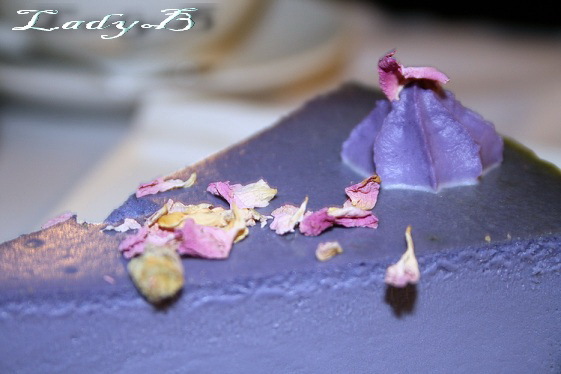 I'm a big fan of everything that includes rose water, but this time Lavender infused desserts not that's a winner ! Now when you're pmsing and in a dire need of something heavenly chocolatey, then the M Cake is exactly what the doctor ordered ! It got dark chocolate, very rich and intense..
Not your everyday molten cake but something absolutely gourmet, consider it if your in a chocolatey mood with a nice cup of unsweetened coffee ! The best for Last, I have been tempted to try Napket's bread pudding for a while now but since it takes about 35 to 40 mins. of preparation makes me decide on something else each time.. However, this time my waiting didn't go to waste.. 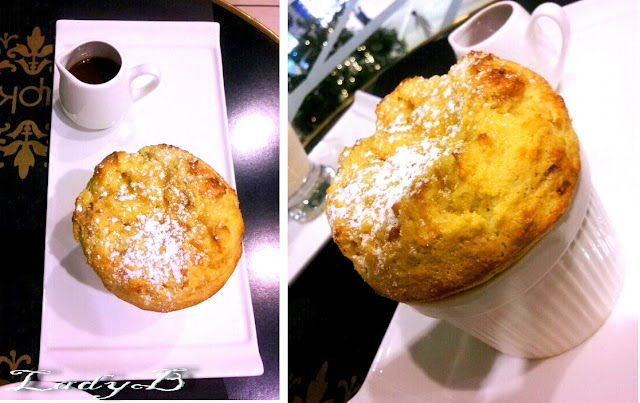 It came in a souffle like bowl, looked like an average muffin with a tiny pitcher of caramel sauce..
We were instructed to poke holes into it, smother it with sauce, let it rest for a bit to absorb it then dig in ! And it was the perfect happy ending for my meal! I have tried so many bread puddings, nothing that much of a memory except for Vinny's perhaps! 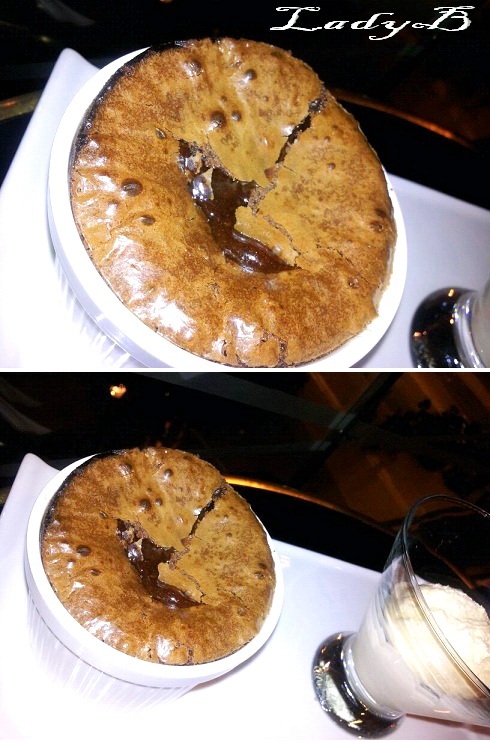 But Napket's really managed to hit the spot.. The perfect texture, divine sauce, not too sweet yet perfectly savoury ! 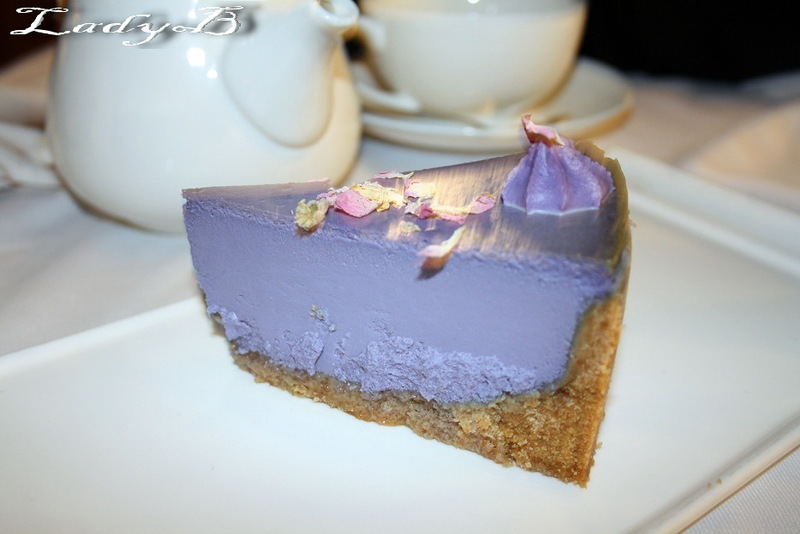 We couldn't stop eating, we even asked for a second dose of the sauce..
Just describing this right now is making my mouth water..
wow~~~ this lavender cheesecake is so interesting! I never saw that kind of cheesecake before! Btw, grat photos! :) love your blog! !